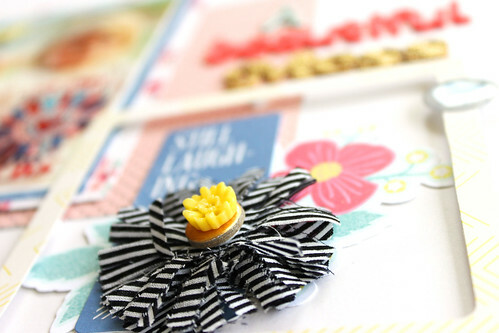 I was up on the American Crafts blog yesterday with my first post for the 2013-2014 DT year. 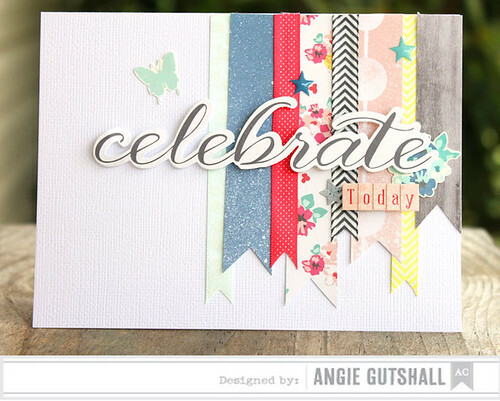 You can go HERE to learn more about :) Can I just say I LOVE the new Polka Dot Party line?!! This is a must have line. so eyecatching and beautiful Angie! Oh so pretty! Love the title of your page...makes me laugh. Awesome card! Both are so pretty! That line is really cute! 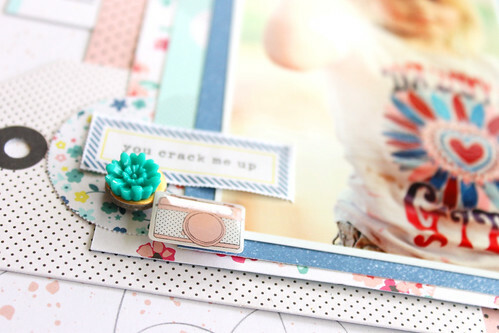 Really pretty projects, love your card! I'm seriously in love with that line. I talked a little about it on my blog today. The layout and the card are stunning! GORGEOUS!! Love the soft colors with pops of black to set it off! :) Beautiful! 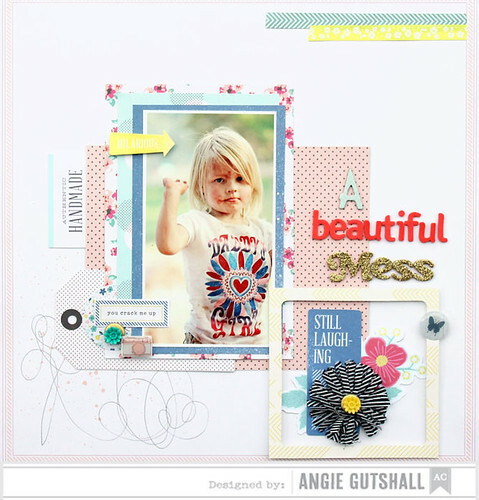 Loved your intro post, Angie and your layout and card are both adorable! !